Popa Chubby's (a.k.a. Ted Horowitz) blues are as big as the man himself. This New York City badass gooses the blues with punk fury as well as bluesifying classical stuff from Bach to "The Wizard of Oz." Picture Howlin' Wolf pickin' on "Jesu Joy Of Man's Desiring." Who knows; if Chubb was in the choir loft, maybe I'd still go to church. Adding to the show's Bluealluias will be The Filthy Brothers Blues Band and Deep Blue Dream. 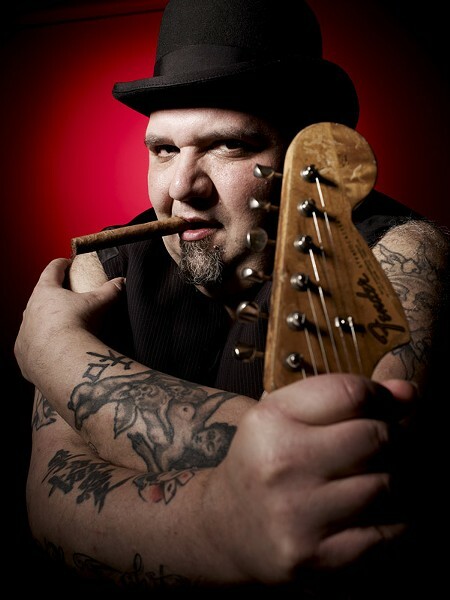 Popa Chubby performs Saturday, December 1, at 9 p.m. at Water Street Music Hall, 204 N. Water St. $12-$17. waterstreetmusic.com.